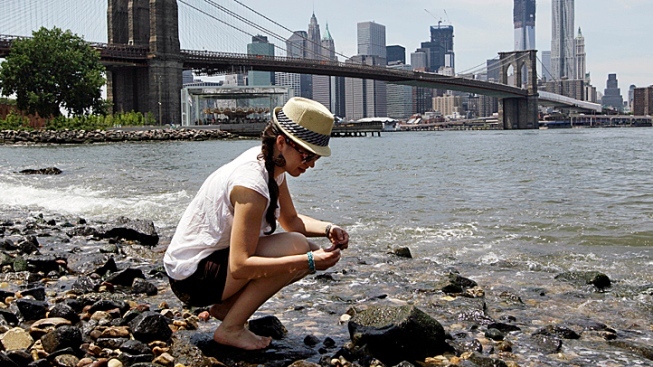 The heat could feel as strong as 106 degrees in the sun. The heat and humidity returns Saturday as the area prepares for the fourth heat wave of the year, which is expected to arrive Monday. Parts of the tri-state may see showers Saturday morning, and the rest of the day will be partly cloudy and warm. There's a small chance of a pop-up thunderstorm in some parts through the afternoon. It will feel warmer into the night, and the warm front may bring with it more thunderstorms. 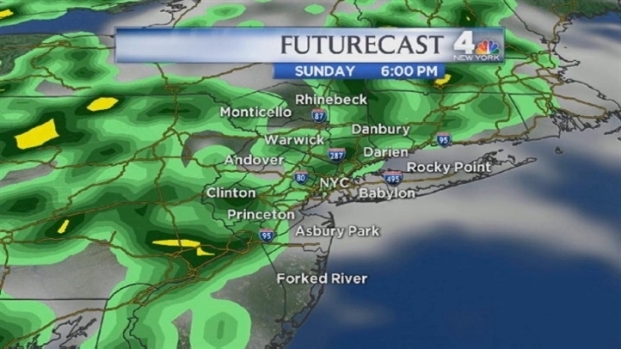 Sunday will feel very muggy and hot, with showers and storms throughout the day. Raphael Miranda's forecast for Saturday, July 14. And our fourth heat wave takes hold Monday, with high humidity and temperatures in the mid-90s through Wednesday. Here's a look at the five-day forecast. SATURDAY: Partly sunny and hot with a passing shower/storm. Tonight, Mostly cloudy, warm and very muggy with a storm chance. SUNDAY: Partly sunny, very humid. Scattered PM showers and storms, mainly in the afternoon. MONDAY: Hazy, hot and humid. TUESDAY: Hazy, hot and humid. WEDNESDAY: Hazy, hot and humid with a few afternoon showers and thunderstorms.